WhatsApp has released new emojis for Android, along with design modifications for its native emoji set. The latest update means that WhatsApp users on Android now have access to both the 157 new Emoji 11.0 additions from 2018 as well as redesigned versions of previously available emojis. Above: A selection of new emojis now available on WhatsApp for Android. These are the first major updates to the WhatsApp emoji set since its introduction to Android and non-Apple platforms in October of 2017. WhatsApp 2.18.379: released mid-December 2018 with new Emoji 11.0 support, and no design changes. WhatsApp 2.19.7: released mid-January 2019 with design changes, and no new emoji support. Each update was preceded by a beta release one month prior (November 2018 for the new emojis, and December 2018 for design changes) to the final public version. Details for both December 2018 and January 2019 WhatsApp emoji updates are included in this emoji changelog. WhatsApp now supports all six new smiley emojis from Emoji 11.0: 🥰 Smiling Face With 3 Hearts, 🥴 Woozy Face, 🥵 Hot Face, 🥶 Cold Face, 🥺 Pleading Face and 🥳 Partying Face. 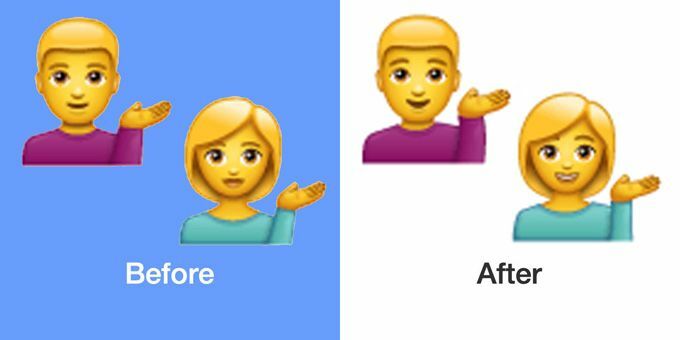 As with Emoji 11.0 updates from other vendors, various hair styles are expected to be quite popular for those seeking more options for self-representation in their emoji keyboard. The new hair styles are 👨‍🦰 Red Haired Man and 👩‍🦰 Red Haired Woman, 👨‍🦱 Curly Haired Man and 👩‍🦱 Curly Haired Woman, 👨‍🦳 White Haired Man and 👩‍🦳 Woman, White Haired, and 👩‍🦲 Bald Woman and 👨‍🦲 Bald Man. 👨‍🦲 Bald Man is of particular note here, as unlike the other man hair style variants, he is lacking a moustache: perhaps a gesture towards alopecia inclusivity. 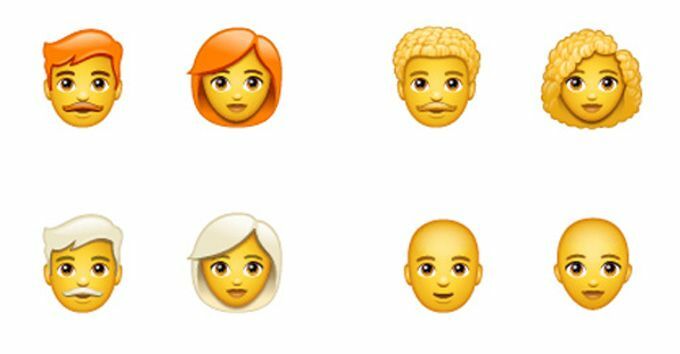 These hair styles are created through combining either 👨 Man or 👩 Woman with one of four new "emoji component" code points in what is known as a ZWJ sequence. 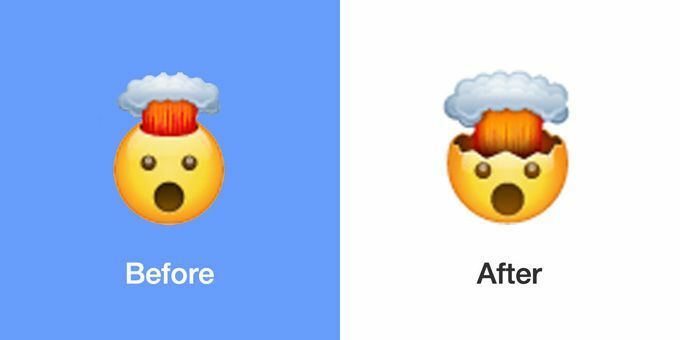 Of note, however, is that the new emoji components used to create these hair style emoji (for example 🦰 Emoji Component Red Hair), are not given graphic representation in WhatApp's design set..
Six new food-related emojis from Emoji 11.0 are also present: 🥭 Mango, 🥬 Leafy Green, 🥯 Bagel, 🧂 Salt, 🥮 Moon Cake, and 🧁 Cupcake. Perhaps having seen the fuss around Apple's plain bagel emoji, this bagel comes with "everything" seeds and cream cheese included. All are rendered full-bodied, as opposed to being represented solely by the animal's face. This is interesting in the case of 🦝 Raccoon, as the majority of other vendors instead opt for an image of the mammal's forward-facing head. However, Apple's version of the critter is a full-bodied rendering. It's possible WhatsApp is looking to maintain consistency with Apple in its set, as opposed to matching other vendors. 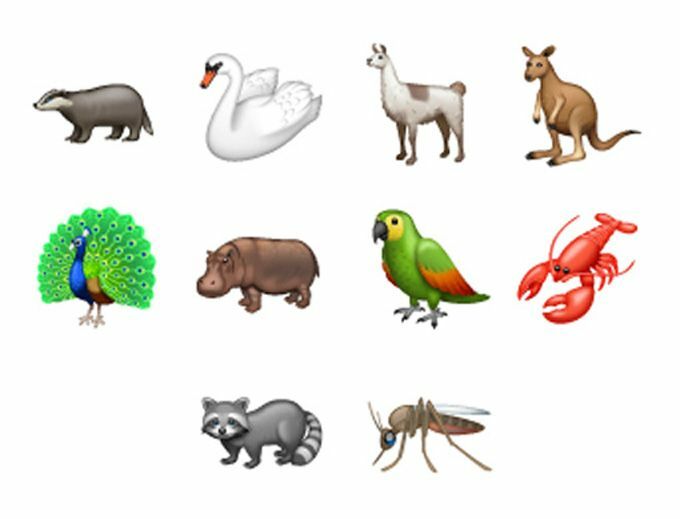 Also featured within Emoji 11.0 are new 🦸 Superheroes and 🦹 Supervillains. Above: Women and Men 🦸 Superhero and 🦹 Supervillain emojis. All support skin tone modifiers. 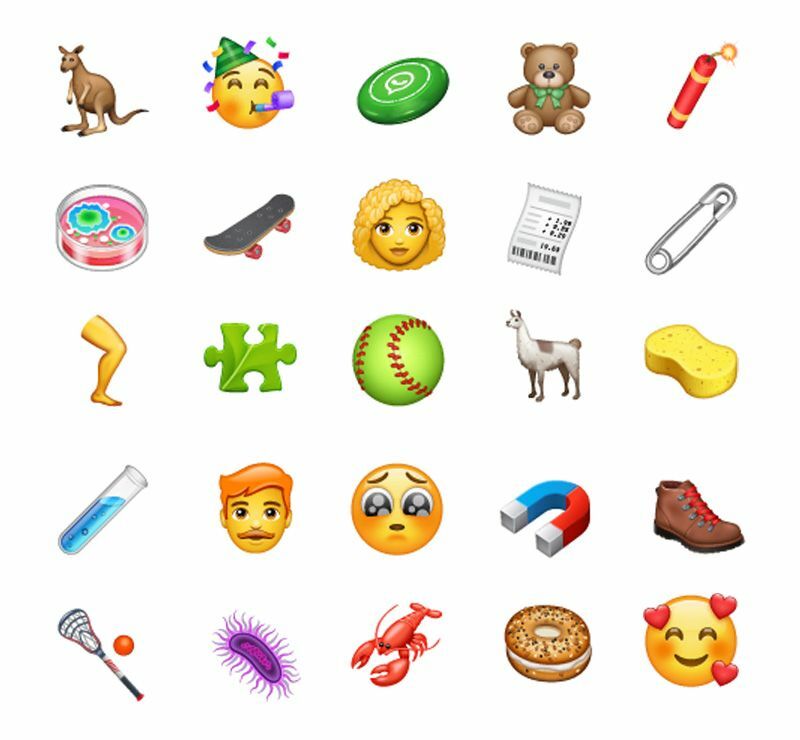 Emoji 11.0's other additions include new 🦶 Foot and 🦵 Leg body parts, scientific objects such as 🧲 Magnet, some new activity-based objects like the 🥍 Lacrosse, as well as other new miscellaneous objects. All of the new emojis added to WhatsApp can be viewed here. WhatsApp 2.19.7 features a number of updates to emoji designs previously featured on the platform. The majority of these are very subtle changes: for example, the refinement of the shadows and the lightening of black to charcoal gray throughout the set's color palette. There are, however, several changes that are more obvious upon direct comparison between WhatsApp 2.19.7 and prior releases. 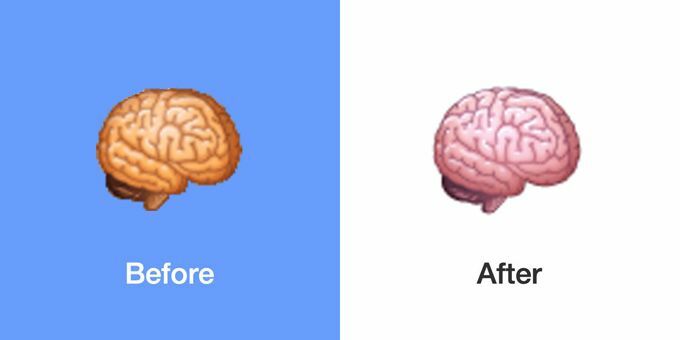 One of the most frequent motivators for emoji design modifications is emoji design convergence and increasing the accuracy of the item on the display. Below are a selection of these changes. 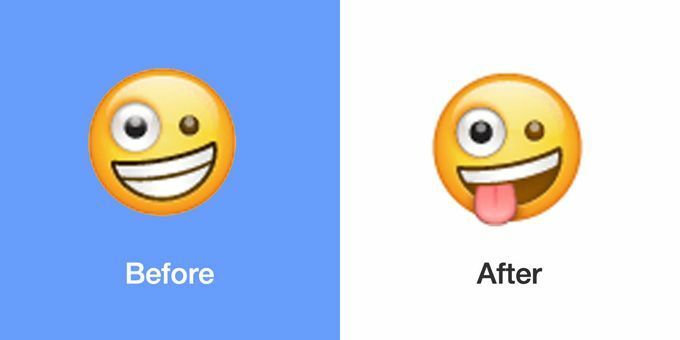 🤪 Zany Face now features a playfully protruding tongue instead of a wide grin, as is the case for most other vendors. 🤯 Exploding Head now has its mushroom cloud unevenly cracking through the scalp. Previously it emerged via a smaller circular segment in its head. 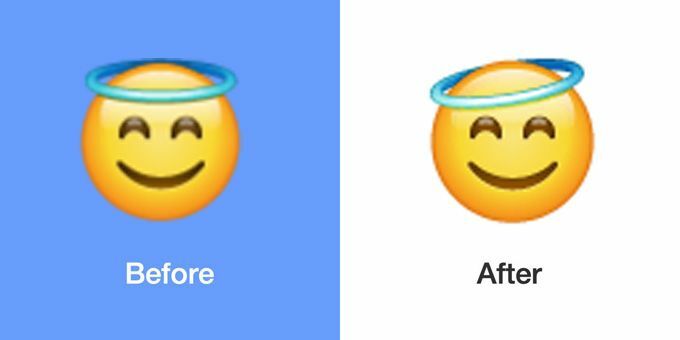 😇 Smiling Face With Halo now has the halo tilted to one side. 💁‍♂️ Man Tipping Hand and 💁‍♀️ Woman Tipping Hand now feature bigger smiles. 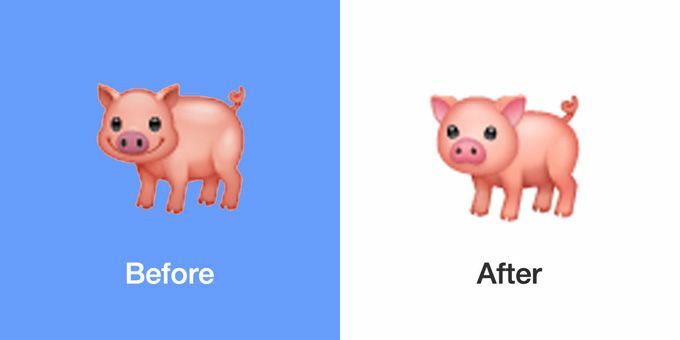 🐖 Pig has lost its ear-to-ear smile and the size of the ears have increased. 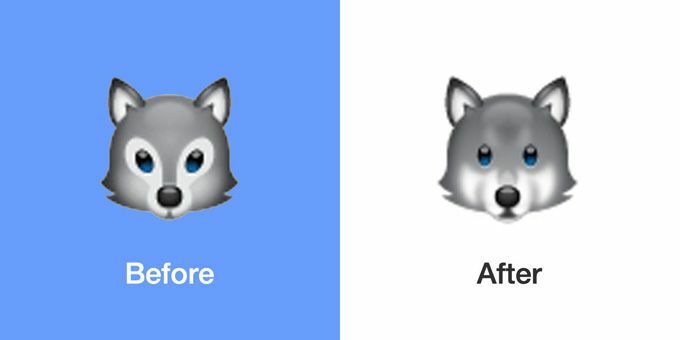 🐺 Wolf Face has redesigned fur and facial features. 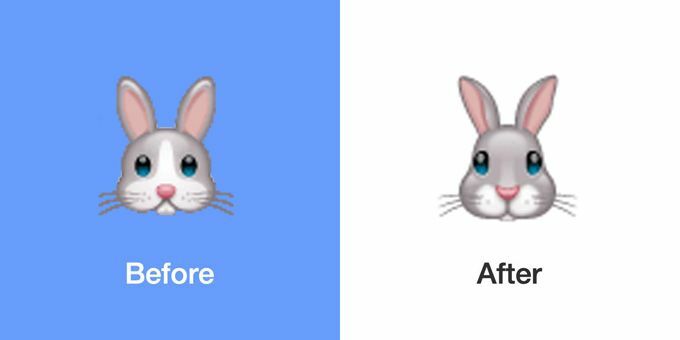 🐰 Rabbit Face now has a smaller tooth and no white stripe between its eyes. The eyes have been moved further apart, now sitting at the edge of the curvature of the bunny's face. 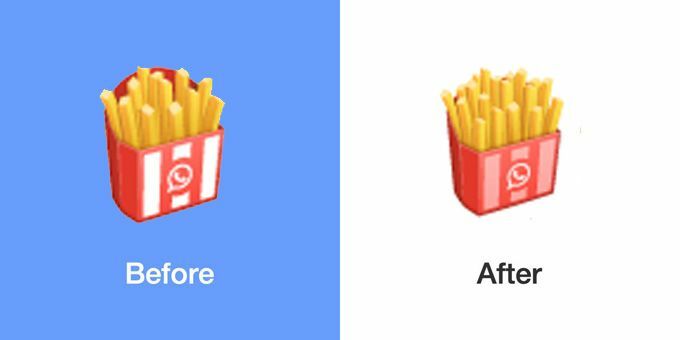 The redesigned packaging of 🍟 French Fries has the back obscured by taller, slimmer fries. 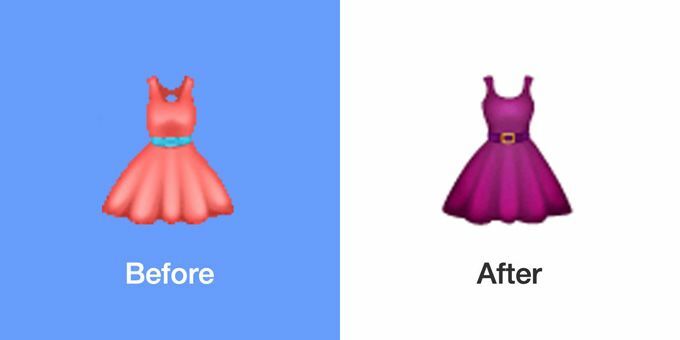 👗 Dress is now purple not pink, and the belt is now purple instead of teal. 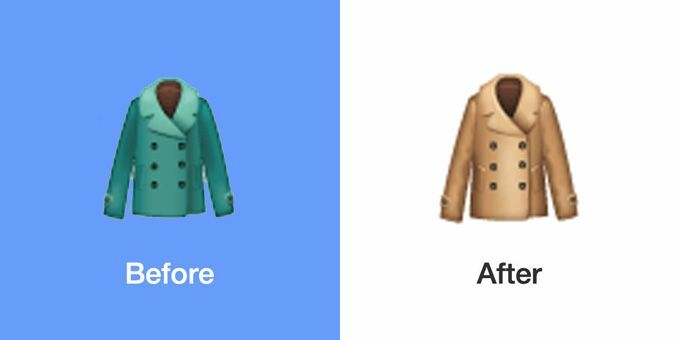 🧥 Coat is now brown, having previously been turquoise. 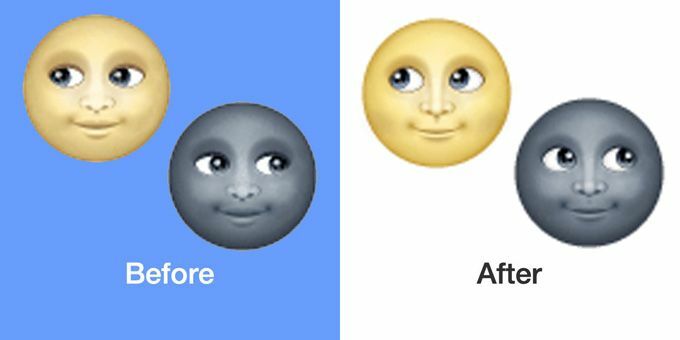 🌝 Full Moon Face and 🌚 New Moon Face have opened their eyes wider, displaying a less sultry glace than before. The tissue of the 🧠 Brain is now a more pink shade, in keeping with other vendors. 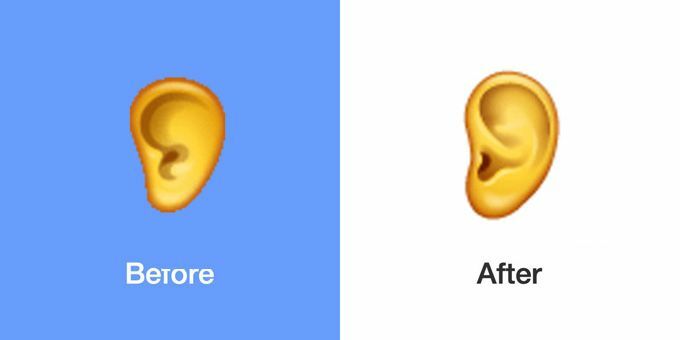 👂 Ear has been reshaped and includes more detail and shading. 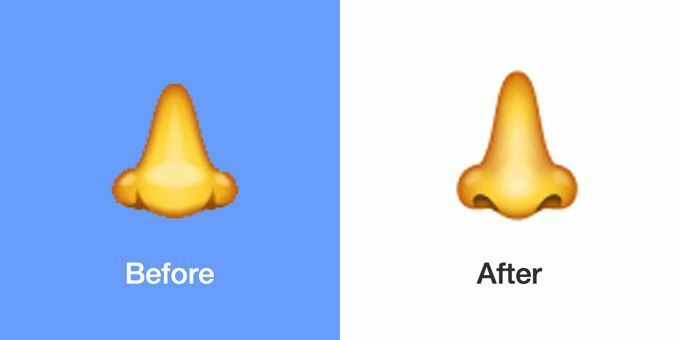 👃 Nose has more prominent nostrils. 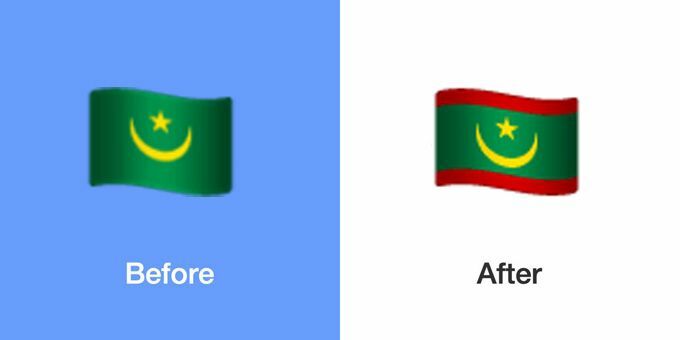 The 🇲🇷 Flag of Mauritania now has a red stripe at the top and bottom of the design, reflecting a change made to the nation's flag following a referendum in August 2017. These design changes are now available for Android users in WhatsApp 2.19.7 and above. Emoji 11.0 additions are available in WhatsApp 2.18.379 and above, but the design changes require the latest release. WhatsApp for iOS devices continues to use native Apple emoji designs, and no emoji updates are provided at a system-wide level (iOS 12.1 for the same new emojis). At the time of writing, WhatsApp web has yet to add the updates listed here, but these are expected to roll out to the website in the coming months.